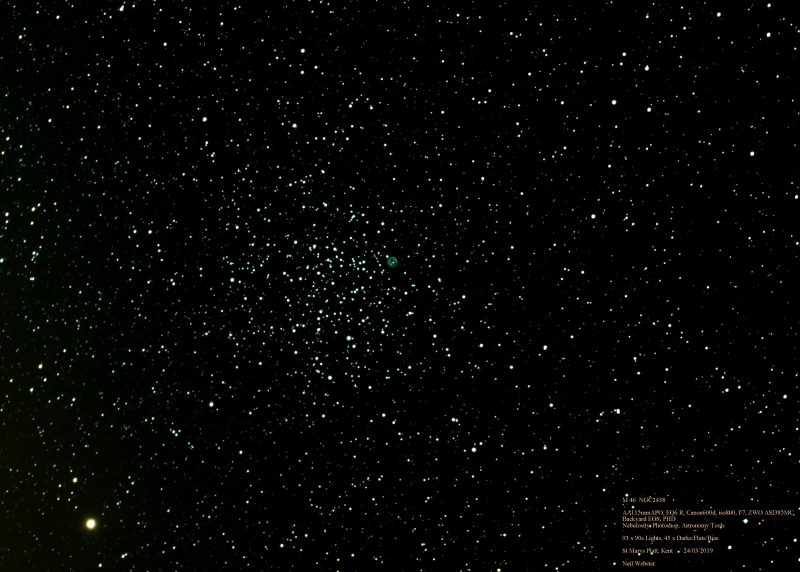 Messier 46 also known as NGC2437 is an open cluster discovered in 1771 by Charles Messier. it is a very bright and very rich open cluster of about 500 stars and as a bonus the planetary nebula NGC 2438 appears to lie within the cluster near its northern edge, but in reality it is most likely unrelated. If you are looking at M46 why not also have a look at M47.which is only about a degree west of M46, so the two fit well in a binocular or wide-angle telescope field.